The UCLA Anderson School of Business has issued its periodic report on the health of the economy with a prediction of more slow, but steady growth during 2016 and 2017. While 3% or 4% growth might be more normal, the 2% average growth of the last seven years might be the new normal. Anderson cautions that we could also see a minor, short, and shallow recession during that two years. Part of the reason for the optimism is housing starts, both single family and multi unit residential. There is such a shortage of available residential product for sale and for rent that builders are working overtime to try and fill the void. 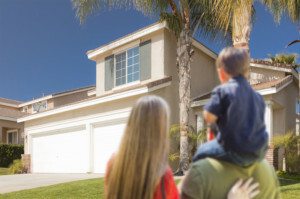 UCLA Anderson senior economist David Shulman examines the national real estate picture. Shulman writes that after a long, difficult period, housing starts are poised to approach the long-term average (from 1959 to 2014) of just under 1.5 million units in 2016. The housing forecast calls for starts of 1.14 million units this year, and 1.42 million and 1.44 million units in 2016 and 2017, respectively. Even though this level of forecasted activity would be far below the mid-2000s boom level of more than 2 million units a year, Shulman says there is reason to be optimistic. He cites a continued economic expansion with low probability of a recession in the near term, healthy employment growth of 200,000 new jobs monthly, rising household formations, relatively low mortgage rates and easing credit standards for mortgages. Prices and existing home sales will continue to rise, despite higher interest rates in the forecast. Shulman notes that the housing recovery is occurring under the backdrop of an unprecedented decline in homeownership. Homeownership now is where it was in 1989, yet Shulman believes this trend has about run its course and will soon begin reversing. The flip side of the declining homeownership rate is a rise in renting which has triggered a boom in multi-family housing starts. Multi-family housing starts, which bottomed out in 2009 at 112,000 units will exceed 400,000 this year and average 460,000 units over the next two years. The high rental increases are being sustained by very low rental apartment vacancy rates. In fact, Shulman says, we are seeing a trend of investors purchasing new single-family houses for the rental market. Assuming the reporting and forecasting turns out to be true, what does that mean for buyers and sellers in the market right now? Your actions and decisions don’t need to be pushed in one way or the other by market conditions. Prices will likely continue to rise and mortgage interest rates, too. However, if you aren’t ready or haven’t found the perfect castle on a hill, waiting six month to a year will not likely dramatically up your monthly cost. If you are selling, this is an outstanding time as the market has few sellers and many buyers. If you have a nice property, it is likely to be sold at or above asking in a short time. But if the timing is bad, next spring and summer is likely to see a repeat of this year’s frenzy and at least some price appreciation. At any point in time that you are ready to buy real estate for your family residence or vacation property or as an investment vehicle, call Belle Tsai! She is ready and willing to help you through each step of the home buying or selling process. You will be teaming up with a seasoned professional realtor and all the resources of Sotheby’s International Realty. This entry was posted in Home Buying Tips, los angeles real estate, real estate, Santa Monica Real Estate, silicon beach, West Los Angeles and tagged in real estate los angeles, UCLA Anderson School, UCLA school report, west los angeles realtor.